Before you read the following Frequently Asked Questions, have you checked out the Hero Shopper How It Works page? More information can also be found in the Hero Shopper website Terms and Conditions. Hero Shopper is a new initiative from JDRF where you can raise funds to help in our research efforts as we strive for a world without type 1 diabetes (T1D). Something that will make you a hero. You shop and donate - automatically at no extra cost. By doing your regular everyday shopping like groceries, petrol and pharmacy goods plus of course, clothing, shoes and accessories via our Hero Shopper website, you create Donation Dollars worth up to 25% of your spend. This goes directly to JDRF. You can even create Donation Dollars when you do your bigger purchases like booking your next holiday or buying furniture for the house. It's super easy to get involved. All you need to do is sign up for free today and start shopping. Your Donation Dollars are the rebates our retail partners are happy to pay for your custom. They grow seamlessly, without you making any extra effort, in your Donations Dollars account. Waiting to be donated to JDRF at the end of each month. This is how the Hero Shopper community kicks into action. One person alone could create hundreds of Donation Dollars every year. Many heroes doing the same thing could mean tens of thousands dollars just from their shopping – and at no cost. Hero Shopper. Shop – donate – impact. Today, tomorrow and ongoing. To learn more about JDRF, visit our website. Donation Dollars are exactly what the name suggests – extra dollars that you create by shopping at our participating retailers. The Donation Dollars are no extra cost to you – they are the rebates our retailers are happy to provide for your business. You shop and the donations go automatically into your Donation Dollars account waiting to be sent to JDRF at the end of each month. The amount of Donation Dollars you can create on each purchase is shown next to each retailer. You can see it next to the Donation Dollars logo that appears throughout the Hero Shopper website. To see how many Donation Dollars you could create, check out our calculator at the top of this website. You'll be surprised at how quickly and easily the Donation Dollars can grow. Complete the Join form. Provide us with some details, create your log in for future visits and start shopping. It's that easy. How does JDRF benefit when I use Hero Shopper? It’s simple. Shop – and watch your Donation Dollars grow. The donation amounts go directly to JDRF at the end of each month. People with T1D will benefit through the world-class research JDRF funds in the areas of cure, prevention and treatment. Order Donations eGift Cards online through Hero Shopper. Go to Shop eGift Cards. Choose between Express or our unique Flexi eGift Cards. The Donations eGift Card you select will be emailed to you. Ready for you to choose when and where you want to use it. Visit the Hot Deals section or watch your inbox for alert emails from us with the latest Hot Deals. Go to My Profile anytime to update your personal details as well as review your donations history. There is a wide range of retailers covering your everyday and online shopping needs, who provide commission for your custom. This becomes Donation Dollars. You must be logged in and then buy from our participating retailers via the Hero Shopper website. This is so that we can identify you and your transactions and then process the resulting Donation Dollars. How do I keep track of my Donation Dollars? Go to the My Profile section where you'll find easy-to-follow instructions. You can see what transactions you’ve made, how much you have created, the status of your Donation Dollars account (including pending donations where we are waiting for the funds to arrive from our retailers). Are my Donations Dollars tax deductible? No. Our tax advice is that they do not qualify. Who are the retailers supporting Hero Shopping? There is a wide range of participating retailers covering online shopping (over 300 brands offering three million+ products) and everyday instore shopping (with Express or Flexi eGift Cards from major national brands). All participating retailers agree to provide a commission for your custom which become the Donation Dollars that goes to JDRF. But you must buy from our participating retailers via the Hero Shopper website. This is so that we can identify you and your transactions and then process the resulting Donation Dollars. Do I have to buy via the Hero Shopper website? Yes. You must buy from our participating retailers via the Hero Shopper website so that we can identify you and your transactions and then process the resulting Donation Dollars. When will I see the Donation Dollars I have created? For purchases made from our online retailer partners, Donation Dollars will show on your account as pending. We will credit your account with your Donation Dollars as soon as we receive them from the retailer. Each retailer has different timeframes for sending this money to Hero Shopper. It could take up to 90 days to be credited to your account depending on the returns policy of each retailer. For eGift cards purchases, your Donation Dollars are credited to your account as soon as your payment has been approved. How do I create Donation Dollars? 1. The Online Shopping Centre which features over 300 online retailers. 2. By buying Donation eGift Cards online for your instore shopping from the Hero Shopper website. These Donation eGift Cards are emailed to you ready for you to choose when and where you want to use them. The amount of Donation Dollars you can create on each purchase is shown next to the retailer. You can see it next to the Donation Dollars logo that appears throughout the Hero Shopper website. The Donation Dollars are credited to your account as soon as the funds are received from the retailers (this can vary by retailer). You must buy from our participating retailers via the Hero Shopper website. This is so that we can identify you and your transactions and then process the resulting Donation Dollars. How many Donation Dollars can I create from shopping? It varies depending on the retailer. You can create up to 25% of the purchase price. How are my Donation Dollars donated to JDRF? Your Donations Dollars are automatically transferred to JDRF at the end of each month. Remember that the speed at which the funds are sent differs by retailer, so they might not be added to your account the same month that you shop. How can I check my Donation Dollars balance and my transaction history? You can check your Donation Dollars balance and transaction history at any time at Hero Shopper website. Click on the ‘My Profile’ button and follow the prompts to your very own account. You will need to enter your login details as this is a secure site. What is a Donation eGift Card? 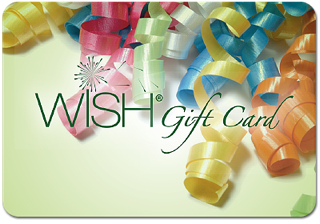 Donations eGift Cards enable you to create Donation Dollars from your instore shopping. The fastest way to create Donation Dollars is from your everyday shopping. But what you want from your everyday shopping changes everyday. Which is why we created Donation eGift Cards. They are a new and different way of buying gift cards and because they are really flexible. You buy your Donation eGift Card now and create Donation Dollars instantly. Automatically at no extra cost to you. Then when you’re ready, you decide how and where you want use it. Choose ‘Express’ if you want to shop now at a specific retailer. We send you the eVoucher for the retailer you choose straight away so you can shop straight away. Note that Express is only available for a limited range of retailers. But does include your important supermarket and petrol shopping. Choose Flexi if you want buy now, earn instantly - but choose later. Once you've purchased, we’ll send you a confirmation email with your Flexi eGift Card. When you're ready, you decide which retailer from our full range of retailers. Then we send you the specific voucher for that retailer. Express or Flexi - you choose because we know people change their minds. And we want to make sure your Donation eGift Cards work best for you. How many Donation Dollars can you create with Donation Gift Cards? How do you buy a Donation eGift Card? Go to the Shop eGift Cards section. Then choose which type of eGift Card you want. Express or Flexi - you choose because we know people change their minds. And we want to make sure your Donations eGift Cards work best for you. When will you receive confirmation of my Donation eGift Card order? Is there an expiry date on a Donation eGift Card? WIth the Flexi eGift Card, it is three years from the date of order. The expiry date will be prominently displayed on the Donation eGift Card itself. When you finally confirm your choice of retailer, the retailer voucher we email you will have its own expiry date (usually of up to 12 months) from the date we send it to you. Is there a cost to order a Donation eGift Card? The cost for the Donation eGift Card depends on the retailer and your method of payment. What is the Hero Shopper Online Shop? The Online Shop is where you can become a hero from your regular online shopping. It offers you a wide range of online shopping stores to choose from. There are over 300 brands with three million+ products. By shopping via our Online Shop, you create Donation Dollars with each purchase. So if your favourite online shop is part of our network, it makes sense to shop through the Hero Shopper portal because you create Donation Dollars for JDRF, with no additional cost for you. Win – win! How does the Hero Shopper Online Shop work? Browse through our retailers and decide where you would like to shop. Click on the logo and you will be then linked directly to the store site. Purchase as normal, and the retailer will send your Donation Dollar information back to us. You can also use our Search & Compare tool to search by specific product. The site will then identify the retailers that have that product and display them for you. This fast tracks and streamlines your shopping experience. Each purchase will create Donation Dollars which will be credited to your account as soon as the funds are received from the store. Can I buy by product? Yes. By using Search & Compare - a powerful tool designed to simplify your online shopping with us. It will change the way you shop online. Instead of choosing a retailer, you choose a type of product. For example, jeans in women’s fashion. Search & Compare then sorts through millions of products to display only those that meet your criteria. You will be shown the products as well as the key details such as the name of the retailer, the price, and the Donation Dollars you can create by purchasing that product. You can then browse or refine and shortlist. And either add to your Wishlist or select the product you want and click to buy. Donation Dollars will show on your account as pending. We will credit your account with your Donation Dollars as soon as we receive them from the retailer. Each retailer has different timeframes for sending this money to Hero Shopper. It could take up to 90 days to be credited to your account depending on the returns policy of each retailer. What if I haven’t received my Donation Dollars? Go straight to Contact Us. So that we can get to the bottom of the issue as quickly as possible, you will need to provide us with the store name, the transaction date and amount plus the order number which you will find on your receipt from the retailer. We will then contact the retailer and reply to you as soon as we have a response from them. What is Search & Compare? Search & Compare is a powerful tool designed to simplify your online shopping with us. It’s where you can find then buy specific products directly - and create Donation Dollars. No longer do you need to go to retailers stores then search to find the product you want. We do it all for you instantly - all in one tab. Instead of choosing a retailer, you choose a type of product. For example, if you wanted to shop for jeans. Simply click on Jeans in the Fashion category. Search & Compare then sorts through millions of products to display only those that meet your criteria. A choice of hundreds of jeans will appear. Instantly. You will see not only the products but also the key details such as the name of the retailer, the price, the Donation Dollars you can earn. Then browse as you wish. And either add to your Wishlist or select the product you want and click to buy. With Hot Deals, you get great deals on your shopping, as well as earning Donation Dollars. They are offers or special sales that are above and beyond the standard offers by our online retailers. They are usually available only for a short time and are continually changing. Hot Deals may be subject to minimum spend, specific product purchases or time restrictions. You can find the latest Hot Deals here. We will also send you weekly email alerts alerts so you (hopefully) don’t miss out. Do I get Donation Dollars with Hot Deals? For more information about JDRF, visit our website at www.JDRF.org.au. What are the costs for Hero Shopper program? Hero Shopper is a new initiative from JDRF where you shop and donate - automatically at no extra cost. By doing your regular everyday shopping via our Hero Shopper website, you create Donation Dollars that go directly to JDRF. Because this is all about donations, we have kept costs to a minimum. a. there is no joining fee. c. there may be a small fee for the purchase of a Donations eGift Card. For general enquiries about the Hero Shopper program, go to ‘Contact Us’ and complete the form. We will get back to you within two business days. If you would like to get in touch with JDRF, visit their web site for details. Who do I contact if I haven’t received my Donation Dollars? Go to Contact Us. So that we can get to the bottom of the issue as soon as possible, you will need to provide us with the store name, the transaction date and amount plus the order number which you will find on your receipt from the retailer. We will then contact the retailer and reply to you as soon as we have some information.